Pulled the exhaust off the Vespa to see what blew last week. All the exhaust and gasket parts were in good shape, thankfully, because customer service for hand made Italian exhaust is nonexistent. It looks like the nut gave out on one side, and the whole bolt on the other. From what I can see, it does not looked stripped, but where the hell do I find that bolt in Fresno? 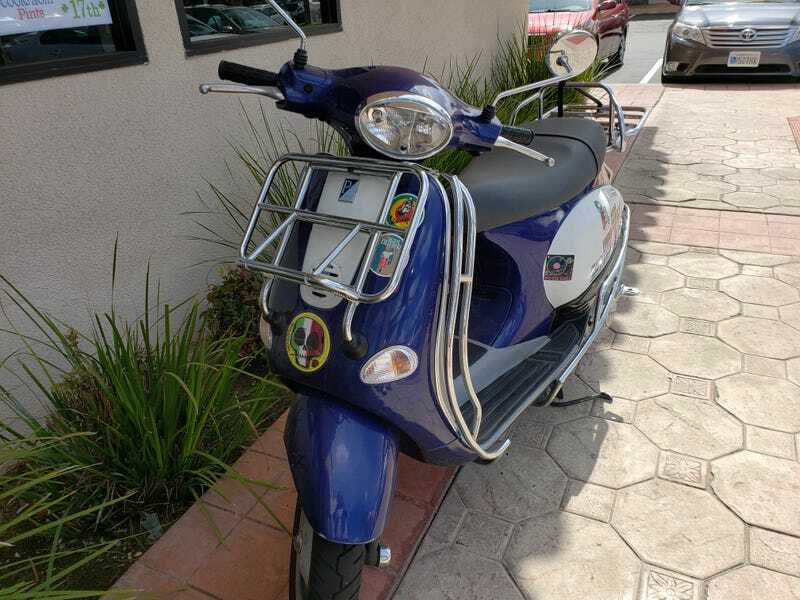 I am going to look for it on the scooterwest website, and will try to locate one locally, but I am not optimistic. Because I am a bad person, I rode it around the corner to get some lunch with no exhaust, and would be lying if I said I did not enjoy how loud it is. I was making motorcycle sounds inside my helmet the whole time. If I did not have work to do on Sunchaser, Cressida, and T Bird, I would be working on my wife for one of these. But she really wants to accelerate our early retirement plan and departure from California, which makes money more of a priority short term. She is marvelling at houses in Tennessee. I guess it is on the list now.